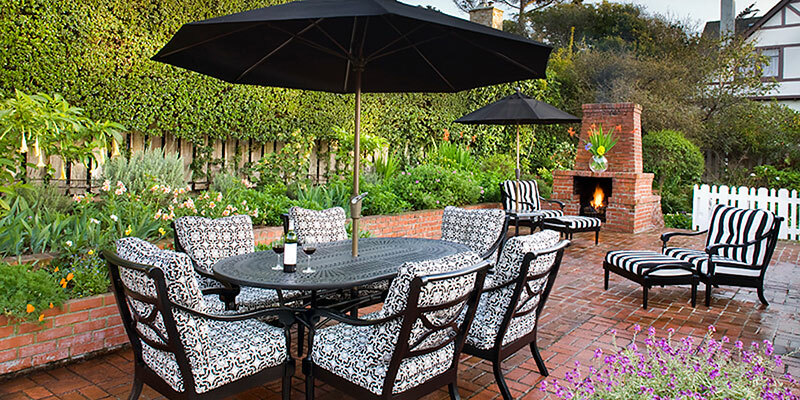 One of Carmel's original accommodations, the Colonial Terrace inn sought out the peace and tranquility of the village neighborhood when it was built in 1925. 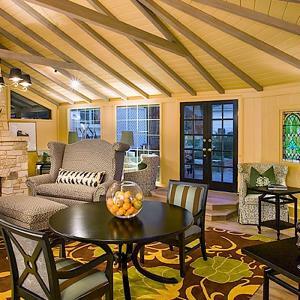 The desire for a relaxing and natural setting resulted in what is now the closest inn to Carmel Beach, just steps from the sand and yet just a few blocks from the shops and restaurants of downtown Carmel. 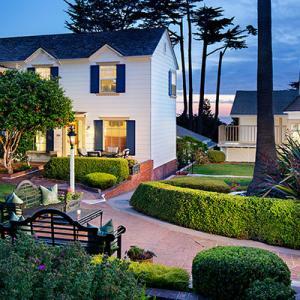 Visitors are treated to the quiet calmness of a residential area with the gentle roaring and ocean breezes of the nearby sea. Built and founded by Mrs. Ida Theurer in the 1920's and 30's, the property provides a considerable complex of cohesively designed and well sited buildings, modeled to blend visually with the predominant Colonial Revival style. 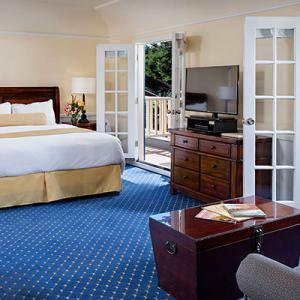 An excellent example of the type and style of visitor accommodations developed in Carmel-by-the-Sea during the decade of the 1930's, it incorporates the unusual employment of a popular traditional eastern building style for the Carmel lodging industry. 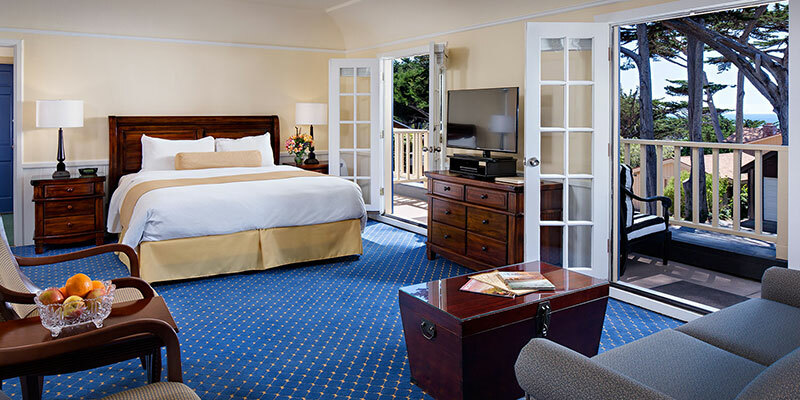 The use of stylized door surrounds, cornices, traditional building materials and other colonial detailing is coupled with the employment of Carmel stone, veneers and decorative exterior wood shingling that give the hotel a "Carmel" look. The 1937 unusually shingled structure housing the current lobby and lounge was built by a German carpenter following Mrs. Theurer's trip to Oberammergau, Germany, where she became entranced with German architecture and woodworking. 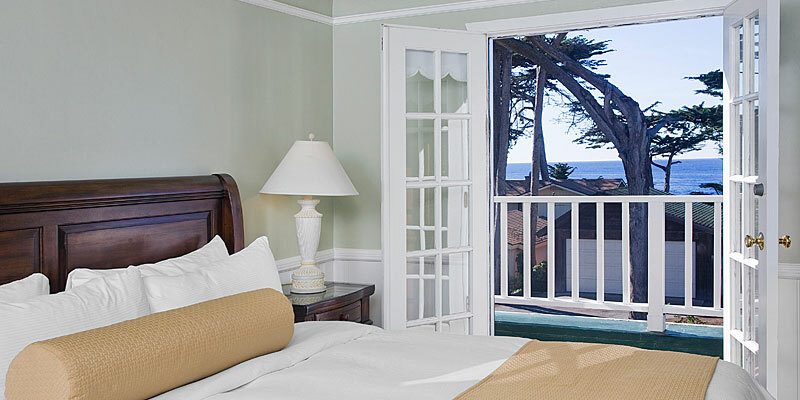 Our collection of rooms and wonderful location provide the perfect retreat for couples and honeymooners, as well as a getaway for families, young people and adventurous souls seeking the romance and activities that the ocean front and Carmel Village provide. 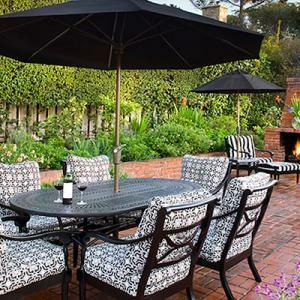 The property is made up of seven buildings scattered around beautiful award winning gardens that truly contribute to the eclectic juxtaposition of the facilities and setting. 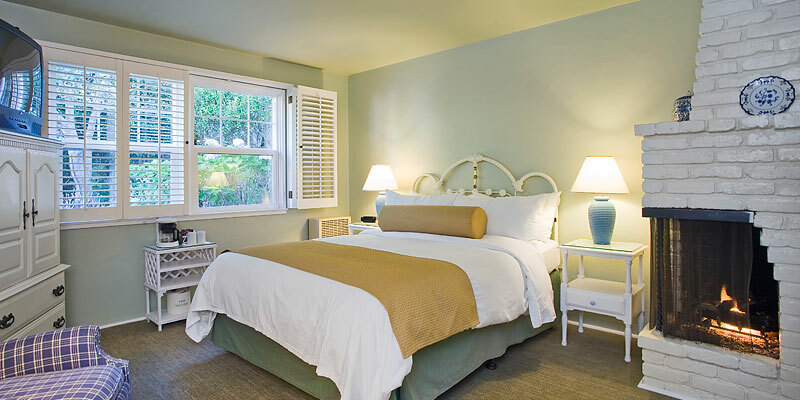 Visitors enjoy the inn's 26 rooms each with its own warm personality and many with views of the ocean. 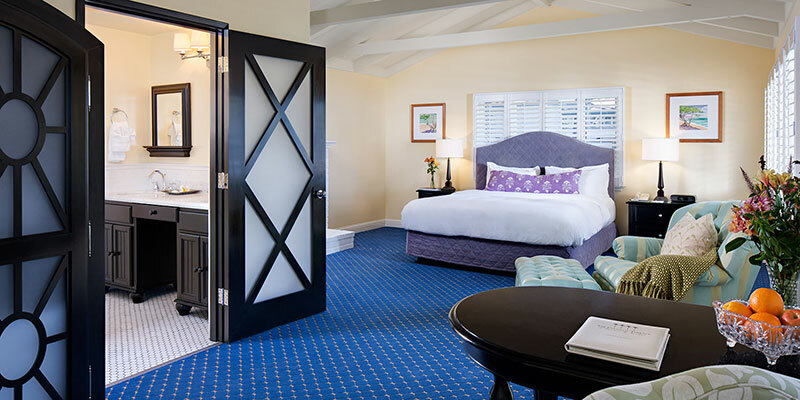 Recently renovated, most rooms have fireplaces with many featuring connecting doors to larger suites for the provision of families. 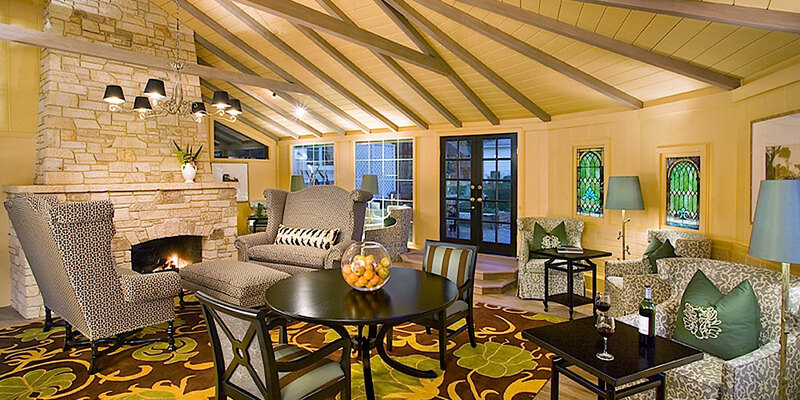 All rooms include refrigerators and irons with ironing boards for your convenience. Rooms with whirlpool tubs, kitchens and kitchenettes are also available. 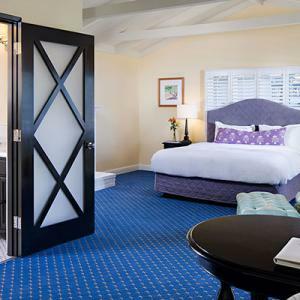 Offering privacy and personal service, this romantic inn is just one block from the beach and close to shopping, offering on-site parking and the charm of a unique boutique property. An expanded continental breakfast including fresh-baked pastries and croissants, bagels, granola, quiche, and fresh fruits and juices are served each morning. The breakfast is available from 7:30am to 10:00am each morning, and may be enjoyed in the comfort of our lounge, or outside among the terraced gardens. Lush terrycloth robes, fresh ground gourmet coffee, and a daily newspaper are all available to guests in the privacy of their own room. 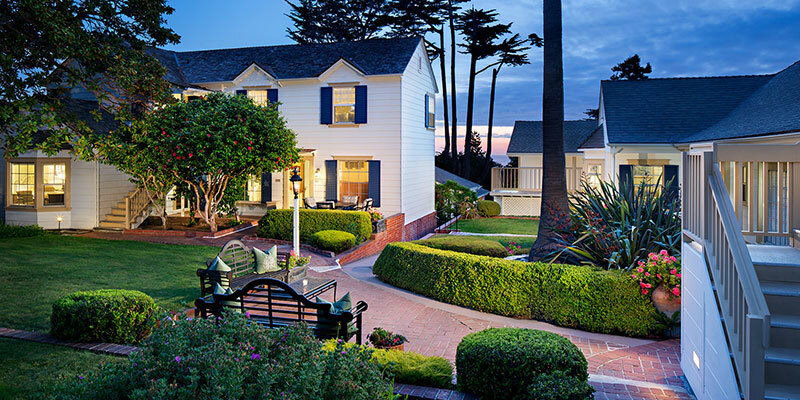 Just one block from Carmel Beach, The Colonial Terrace provides special services to help you enjoy this famous ocean front. As a courtesy, we have a select number of beach chairs and beach towels you may borrow. 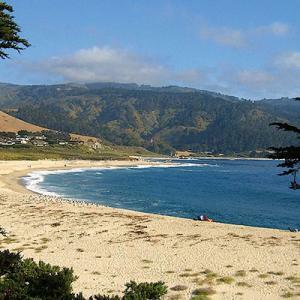 Also, for that day at the beach or drive down the coast, order a picnic basket for two. Menu selections and prices are available at the Front Desk.